This entry was posted in Biotechnology, Regulation and tagged biotechnology, environmental toxicology, gene flow, genetically modified, pesticides. Bookmark the permalink. 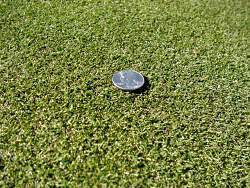 What effects will the escaped GMO bentgrass have on the ecosystem? Do they know if it will be harmful? Nope; no one knows. Of course gene flow from crops to weeds happens even without GMO’s, and it has caused some devastating problems. But GM technologies open the doors to a vastly wider range of genes to be incorporated into plants. Whether a GM plant is more or less likely to create gene flow, and whether transgenic traits are more or less likely to remain in wild populations, depends on the plant and the GM trait, as Ellstrand (2001) points out. Long-term effects on ecosystems are simply unknown. Ellstrand, N. 2001 When Transgenes Wander, Should We Worry? Plant Physiology 125(4):1543-1545. Thanks for pointin g this out and actually linking to the scientific articles. I don’t see what the danger is with the Kentucky bluegrass. People plant it in their yards anyway. I wouldn’t assume it is dangerous. I wouldn’t assume either. The point is that the science isn’t there to give us a basis for discussing its ecological impacts (and it probably won’t be there). And note that Kentucky bluegrass (actually an Old World species) is an invasive in many situations. It is destroying prairie ecology and is considered an invasive and noxious weed in many ecossytems. Look up stuff through the forestry departments and EPA for minnesota, north dakota etc. You will find that it is dangerous…and bloody expensive to eradicate and now we let Scott’s make it stronger and more invasive…. 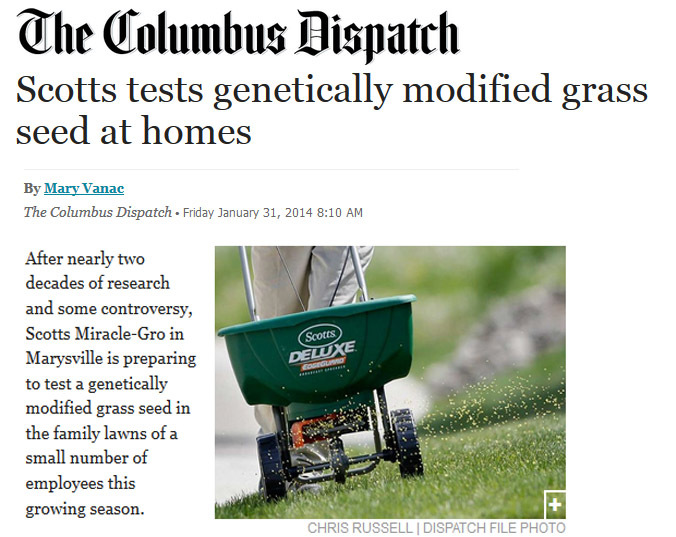 I read this and the earlier blog but don’t understand — the USDA checks GMO’s if they are made with a plant pest? Why would Monsanto use a plant pest, I thought the point was to fight off plant pests. And if they don’t use a plant pest, then it probably should be regulated less closely, right? Agrobacterium is a soil bacteria that causes a plant disease (crown gall disease) by actually inserting some of its genes into the chromosomes of the plant . Then when the genes express, the plant (usually a tree) creates a lump called a gall that produces bacteria food. Biologists take out the gall-producing genes and insert other genes, and then let Agrobacterium do its thing. I wouldn’t say Agrobacterium itself is inherently dangerous, although it does sometimes insert DNA in unpredictable ways. The other major way to make a GM crop is to use “bombardment” with a gene gun, which can also insert DNA unpredictably. The fact that Agrobacterium-mediated transformation is regulated but bombardment-mediated transformation is not is ludicrous.